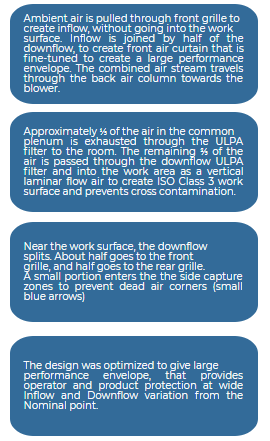 From the airflow diagram above, the crucial elements for biosafety cabinet operation are the filters and blower. 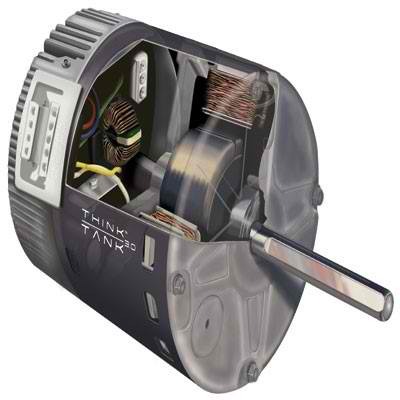 The blower pulls the air through the filter, which captures the contaminants and pathogens, and purifies the air. The selection of the filter determines the level of safety provided by the biosafety cabinet. 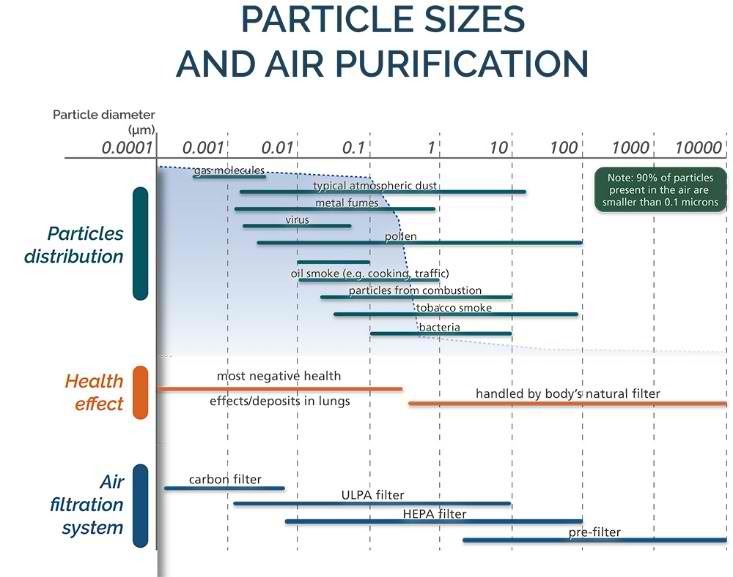 The graphic shows an overview of pollutants from various industries and their corresponding particle sizes. The majority are not visible to the naked eyes and that such particles have the most negative health effects. Upon prolonged exposure, such pollutants may deposit in the lungs thus affecting normal respiratory functions. It should be noted that HEPA filter only cover about half of virus, but ULPA filter covers the entire size band of virus, giving the ULPA filter an edge in protecting the user and environment. HEPA filter media is composed of a mat of randomly arranged non-synthetic borosilicate glass fibers, and taking a physical shape similar to a sheet of thick and fibrous paper. Particles passing these fibers are retained by physical cohesion, and not by electrostatic charge, that occurs in low end synthetic filter fiber. The downside of the synthetic fiber is that the particle retention is compromised once the electrostatic charge disappears, like when the airflow passing the media stops, and the retention efficiency decreases over time. When the airflow stops or over years of usage, the high end non-synthetic fiber will still retain the captured particles, using the three retention principles shown on the next table. 3 Diffusion Small particles (below 0.1 micron) oscillate according to Brownian motion due to bombardment by air molecules. When they touch the fiber, they are retained by cohesion. The sieving filtration principle was not included on the table above, because the common assumption that a HEPA filter primarily acts like a sieve is incorrect. The air space between HEPA filter fibers is much greater than 0.3 μm. Although it’s correct that very large particles with bigger diameter than the distance between fibers will be retained, HEPA filters are primarily designed to target much smaller particles. The fiber density plays an important role in determining the filter efficiency. Increasing the fiber density leads to a filter type that is more efficient than HEPA, called ULPA (Ultra Low Penetration Air) filter. The filter efficiency is also affected by the particle size. By observing the table above, the most particle size to be captured is the small to medium size particles, commonly referred as Most Penetrating Particle Size (MPPS). MPPS is the specific particle size that is not too large to be captured by the interception effect, and not too small to be captured by the diffusion effect. Many contamination sensitive applications require “clean air”, which can be defined as a space where particle concentration in the air is controlled to an appropriate level. The most internationally recognized standard for clean air is ISO 14644, which defines the particles as solid or liquid objects between 0.1 to 5 micron, and the particle concentration as the number of individual particles per unit volume of air. According to the American IEST-RP-CC001.3 guidelines, the HEPA filter has minimum typical efficiency of 99.99% at particle size of 0.3 microns. When combined with sufficient airflow and appropriate cabinet design, this filter can provide ISO Class 5 cleanliness required by laminar flow, biosafety cabinets, and isolators. For cleaner environment requirement of ISO Class 4, 3, or better, ULPA filters can be used, due to its’ efficiency rating of 99.999% or better, at particle size between 0.1 to 0.2 microns, per IEST-RP-CC001.3 guidelines. In Europe, filter performance classification is governed by EN 1822.1 standard. The minimum filter requirement for biosafety cabinet and isolators is H14, where the filters should have the efficiency of 99.995% or better at MPPS. The European EN 1822.1 standard does not mention the efficiency requirement at specific particle size, like the American IEST-RP-CC001.3. The European Standard EN 12469 for biosafety cabinet has a minimum requirement for 99.995% efficient filter, and anything less than that (including 99.99%) is not allowed for biosafety cabinets. Filter manufacturers following EN 1822 typically make the filters to have slightly better efficiency than this minimum requirement for safety buffer. Therefore, filters that are ordered to meet this 99.995% minimum efficiency has actual efficiency of 99.999% or better, which falls into ULPA filter category based on US IEST standard. This additional level of efficiency comes at a slightly increased pressure drop of 5%, contrary to some beliefs that it is as high as 20 – 50%. To easily compensate for this minor pressure increase, the number of filter pleats or the filter width are slightly increased, to pack larger filter media, that lowers the pressure drop back to the same level as HEPA filter. 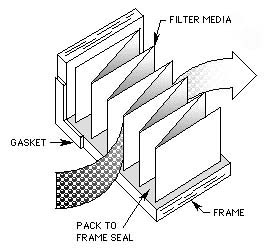 This larger filter media also translates to longer filter life, because there is a larger area to capture the filters. By using this compensation method, ULPA filters have comparable life as HEPA filters at 8-10 years. The criteria to change the filter is when the blower is already running at maximum capacity, but unable to generate the required airflow anymore. Therefore, filter life is not just determined by filter pressure drop alone, but it’s actually determined by the combination of filter pressure drop, manufacturer’s airflow setpoint, cabinet airflow path design, motor-blower HP rating, impeller diameter, and impeller width. Therefore, another way to compensate for the slightly higher pressure drop in ULPA filter is by using slightly higher motor HP rating and optimizing the blower impeller size. By combining the latest DC-ECM motor with larger filter media and aerodynamic cabinet airflow path design, the cabinet energy consumption can be lowered. Contrary to some belief, the cost of ULPA filter with 99.999% efficiency is just about 5% more than HEPA filter with 99.99% efficiency, which is only about $20-$30 more, comparable to a lunch. If this is amortized to 10 years filter life, this becomes $2-$3 per year, comparable to 2 candy bars, which hardly make a difference in filter price, and completely outweigh the benefit of having 10x safety lab and cleaner work zone. A good biosafety cabinet design optimizes the filtration efficiency, power consumption, airflow velocity, and filter life, to give the best combination of safety and operating cost. 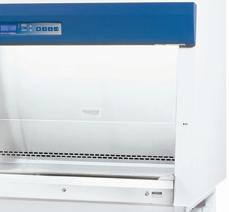 Some biosafety cabinet manufacturers may claim that their HEPA filters have longer life than ULPA, but after considering other design aspects, this claim no longer holds true. In fact, if their cabinet design is outdated, their power consumption is actually higher than modern biosafety cabinets equipped with ULPA filter. Moreover, this outdated design typically sacrifice the safety by lowering the downflow velocity that weakens the product protection and front air curtain. This effect is more pronounced in the real-world condition where the operators move their arms. Biosafety cabinets are validated by certification bodies such as NSF International, who perform microbiological testing. Operator protection test is performed by spraying spores from inside the cabinet, and sampling the air outside the front opening to quantify how many spores are captured. Product protection test is performed by spraying spores outside the cabinet and covering the entire work zone with agar plates to quantify how many spores managed to go inside. Both tests are conducted in static condition, where there are no arm movements, and the operator arms is only represented by a single stationary metal cylinder. This simplified test allows cabinets with weaker downflow velocity to pass. However, in real world condition, the operator move both arms, causing dynamic airflow disturbance that can disrupt the front air curtain that prevents biohazard from escaping out and prevent outside contaminants to enter the work zone. This disturbance effect is amplified if the biosafety cabinet has larger sash opening, such as 10” and 12”, because the inflow underneath the sash is at the weakest, being far away from the front grille. Stronger downflow helps to maintain this air curtain despite the airflow disturbance created by the operator’s arm movement. Another safety factor that can be compromised by outdated biosafety cabinet design is the light intensity. Such cabinets may have only single fluorescent tube, generating 90 ft-cd light intensity on the work zone. Meanwhile, a safer modern biosafety cabinet design has 130 ft-cd light intensity, to provide sufficient illumination for critical work, and prevent hazardous self-inoculation. 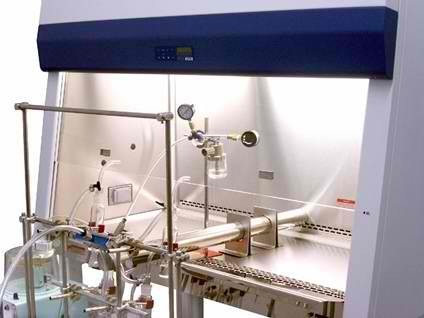 Therefore, outdated biosafety cabinets that use a combination of HEPA filter, inefficient aerodynamics, weaker downflow velocity, weaker light intensity, and weaker motor-blower that runs at higher speed with clean filters, actually consumes more power and has lower motor reserve capacity to overcome filter pressure drop. To achieve the desired 8-10 years filter life, the downflow velocity and light intensity are lowered, that translates to riskier work environment than modern cabinets with ULPA filter and stronger & newer motor, that yields stronger downflow and brighter light intensity, while lowering power consumption. 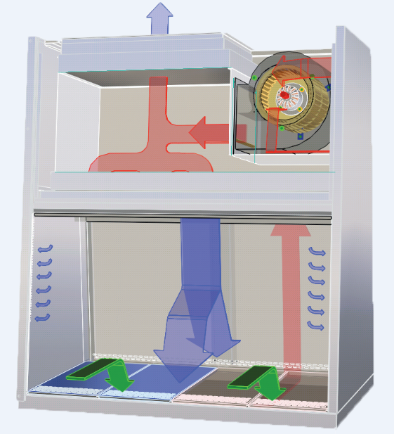 Purchasing biosafety cabinets means purchasing a complete system, not just a box with HEPA / ULPA filter, so the filtration efficiency, downflow velocity, light intensity, and power consumption have to be compared, to differentiate between legacy versus modern cabinets that provides safer work environment and lower energy consumption at same filter life and same replacement cost.